Music for discerning ladies and gentlemen in the form of Power pop, Mod, Sixties, New Wave, Northern Soul and more. The Jac kindly bestow a Christmas gift upon us to help us get into the spirit of the season. These 15 tracks of seasonal joy don't follow your usual stylings of Christmas songs (as the title suggests) and may not be suitable for your Granny, who likes to sway away to Cliff's "Mistletoe and Wine" or some other piece of dirge that gets rammed down our throats at this time of year, this is a refreshing take on seasonal songs that won't drive you mad. Light the fire, throw on a yule log, stoke it up with all those old Christmas best of's albums and play The Jac loud! Surely you can’t expect a Christmas album from the southern hemisphere to be normal? 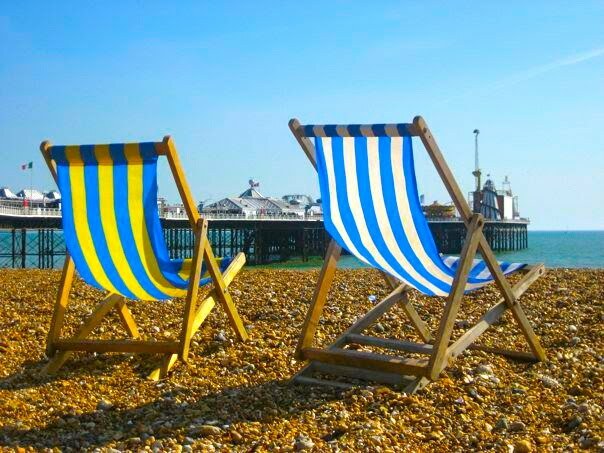 It always seems to confuse Westerners in the northern hemisphere that the festive season in Australia falls in summer where it’s not uncommon to spend Boxing Day at the beach because it’s so hot. The idea of a white Christmas belongs in a postcard or a movie here. I make no apology for this compilation of songs I’ve been recording since 2001 being so dis-jointed and occasionally odd; I just wrote whatever came into my head that particular year. The more unorthodox and eccentric elements set the blueprint of this year’s debut JAC album, Faux Pas. “I See Things Differently” features everything from a sincere and whole-hearted look at the themes of distance and longing (Sweet Baby Jesus, Stockholm Christmas, If Santa Makes It Down), to being generally fucked up (Yuletide Heroine Blues, All I Want For Xmas Is Cindy Brady, Psychotic Psummer, Going Down) and even a little something for the kids (Surfin’ Santa & I Saw Santa With A Gun). If there is no track to tickle or amuse you then you just don’t believe in Santa. More than anything to do with religious beliefs or traditional festive messages, this compilation simply chronicles my beginnings in home recording; none of these tracks have been recorded or mixed in professional studios. In fact the idea of the Brtiannicas, a band the where the members lived, wrote and recorded their parts in separate countries, was born out these early recordings. I feel honoured that there have been so many friends that have contributed to the recording of these songs; some one off and others continue to appear more often than not. In particular, I’d like to thank Herb Eimerman and Magnus Karlsson from the Brits, Stefan Johansson and Lars Brusell. 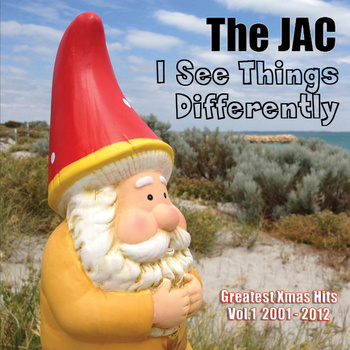 As of 1 December, all the 15 tracks can be downloaded for free online: www.thejac.com.au Lyrics and information on each track are also available there. Whatever you do or don’t believe in, I wish you happy holidays and all the best for 2013. Thanks for your support in 2012. If you are a musician or in a band and you would like your band/music featured on the radio show, then please send me an e mail. The primary purpose of the show is to aid promotion of new bands. We look forward to hearing from you. Ice Cream Man Power Pop and More now has a facebook page. JAVIER ESCOVEDO: "SI TIENES CURIOSIDAD EN LA MÚSICA, DESCUBRES QUE CADA VEZ HAY MÁS Y MÁS CAMINO POR RECORRER"
Power Pop, Mod, Surf and More T-Shirt Designs. Top Five 7" Vinyl Singles of the Year. The Sharks, 7 EP's for FREE DOWNLOAD. Nick Capaldi - A Shade Of Orange. Phenomenal Cat - Yours Sincerely.